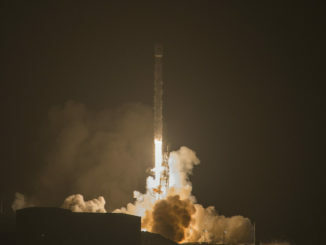 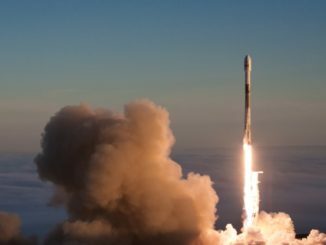 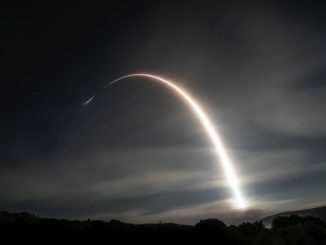 Ten more satellites for Iridium’s commercial communications network flew into orbit Friday aboard a Falcon 9 rocket from Vandenberg Air Force Base in California, raising the total number of upgraded Iridium spacecraft launched to 50 and clearing the way for liftoff of a SpaceX supply ship Monday from Cape Canaveral to the International Space Station. 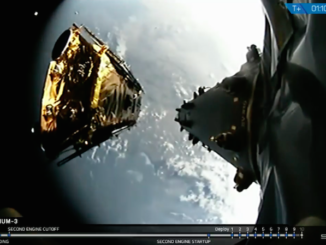 Ten more satellites for Iridium’s upgraded voice and data communications fleet rode a SpaceX Falcon 9 rocket into a nearly 400-mile-high orbit from California’s Central Coast Monday. 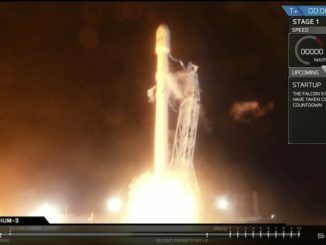 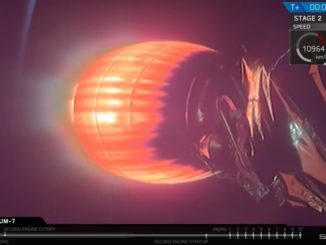 Watch this replay of Monday’s liftoff of a SpaceX Falcon 9 rocket from Vandenberg Air Force Base in California, followed by touchdown of the booster’s first stage on a drone ship in the Pacific Ocean. 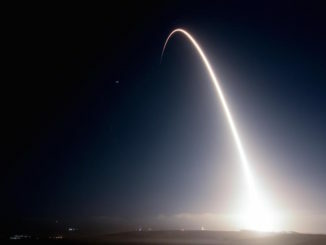 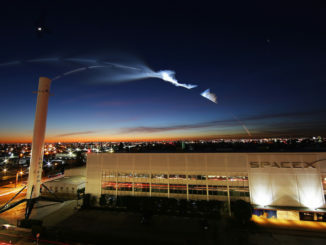 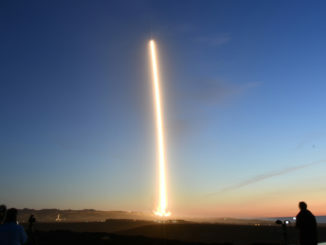 SpaceX launched a Falcon 9 rocket at 5:37 a.m. PDT (8:37 a.m. EDT; 1237 GMT) Monday from Vandenberg Air Force Base in California with the third set of 10 new-generation satellites for Iridium’s voice and data relay network. 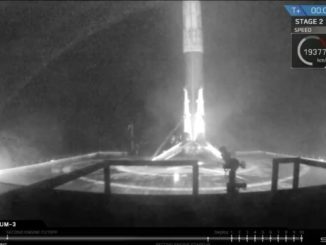 The Falcon 9’s first stage booster successfully landed on a platform in the Pacific Ocean a few minutes after liftoff.